A conversation with labor economist Paul Osterman on boosting the roles of, and respect for, frontline workers in long-term services and supports. In the universe of workforce challenges that plague aging services, the recruitment, training and retention of direct care workers is by far the most difficult, and is likely to remain so if current demographic, regulatory and financial trends are maintained. Labor economist Paul Osterman would like those trends to change. His latest book, Who Will Care for Us? Long-Term Care and the Long-Term Workforce, is an in-depth analysis of the position of direct-care workers—home care aides, CNAs in nursing homes, and family caregivers—in long-term services and supports (LTSS). It also argues that such workers must be better trained, better compensated, and fully integrated into care teams if the U.S. is to meet the challenge of serving massively growing numbers of seniors in the decades to come. 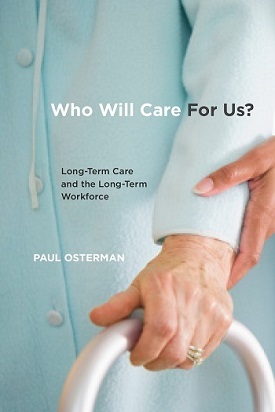 Because of most seniors’ desire to age in place at home, and the growing shift toward home and community-based services, Osterman focuses most heavily on home care workers. LeadingAge spoke with Osterman, the Nanyang Technological University (NTU) Professor of Human Resources and Management at the MIT Sloan School of Management, about his vision for the LTSS workforce. Joining the discussion was Robyn Stone, senior vice president of research for LeadingAge and co-director of the LeadingAge LTSS Center @UMass Boston. LeadingAge: First, can you briefly describe your background and your primary research interests? 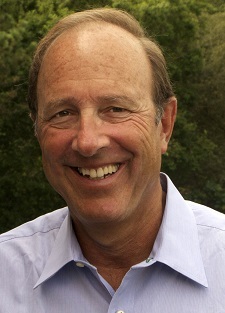 Paul Osterman: I’m a faculty member at the MIT Sloan School of Management, a labor economist, and all my career I’ve worked on 2 main themes: first, what do careers look like inside of organizations, and second, I’ve done a lot of work on low-wage jobs and how to improve the quality of those jobs. LeadingAge: What was the genesis of Who Will Care for Us? Paul Osterman: First, I want to acknowledge that Robyn Stone was a thought leader on this set of issues, and the role of aides, and I’ve read all of her stuff and benefited from it. I also want to say that I borrowed or stole the title of this book from a report that she wrote. Imitation is the sincerest form of flattery! I actually entered into this first through the door of being concerned about low-wage jobs. “Home health aides” is kind of a term of art; there are different subcategories. There are millions of them—and there will be millions more as the baby boom ages—and they average about $10 an hour nationally. That’s how I got into it. As I did so, I came to understand that we can’t really address that question without understanding the context they operate in, and the nature of the long-term care system, so I got interested in that and as I learned more, I got more interested in that issue in its own right. LeadingAge: Can you describe the central argument you make? Paul Osterman: The core argument is that if we want to improve the quality of these jobs, we have to go beyond saying that we wish people had better jobs; we need to find a way to make it worthwhile for the system as a whole to improve the quality of these jobs. Doing so will also benefit consumers quite a bit because one of the important facts about this world is that people want to stay at home and avoid … institutional care. If you can improve the quality of care by improving what these home health aides can do for these folks, you’re making everyone better off and I’d argue that you can save the system money too. What’s going on now is that home health aides are very limited by scope of practice restrictions that limit them to the most trivial of tasks. If you could loosen those restrictions and then provide training, you can improve the quality of care, improve transitions out of hospitals, reduce nursing home admissions, reduce use of emergency rooms, engage in health care coaching for chronic conditions such as diabetes, and through all that save the system money in those ways, but also save money from shifting work from more expensive providers to these aides. I make the case that this is not a fantasy; I provide examples and evidence and talk about the issues and politics of getting this to happen. LeadingAge: What if your vision of better-trained, highly valued direct care workers who are integrated into health care teams comes true? How would everyone involved benefit? Paul Osterman: The consumer would benefit because the aide would be able to do more, so if the consumer has diabetes, for instance, the aide could be a coach around diet and exercise. The consumer would benefit by increasing the probability of ending up at home [for rehab] rather than in a nursing home. The consumer would benefit by being less likely to find themselves in an ER if something goes wrong. The payers have power. Medicare is actually an actor in this system as well as Medicaid, and the managed care insurance companies would benefit by saving costs on say, nursing homes, which are more expensive than home care, or reduced emergency room visits, and also save costs in terms of shifting some work to lower-paid folks. Aides would have more interesting and rewarding work, and would be more productive, and you can make the case they should be compensated better. LeadingAge: You write that there has not been any rigorous research into the potential for direct-care workers to take on the role you would like to see. Even so, you pieced together a variety of evidence to try to make the case that these workers are capable of an expanded role. Can you summarize why you’re optimistic about that? Paul Osterman: It’s remarkable that in a field with so many demonstration programs and random assignment trials and so on, so little attention has been paid to these aides. It’s a reflection of the low esteem in which they’re held. The book has many examples of well-meaning people making very disparaging comments about these aides and what they can potentially do. Robyn Stone: I start most of my talks these days around this issue, with the idea that we should take out of our lexicon the framing of these workers as “low wage workers.” I’d say these are highly skilled, complex jobs that get paid low wages. These workers are so undervalued, not just monetarily but in terms of skills, for years they called this “unskilled labor,” and if you look at what these workers are doing you can see these are not unskilled jobs. [Our] language just supports that, and even our own members do this. It’s a mindset, and something that is really hard to reverse. Paul Osterman: I completely agree. There have been a few scattered demonstration programs on enhancing the scope of aides. For example, NYU ran a program involving people leaving the hospital after heart surgery, and there was a positive benefit on people’s capacity to take care of themselves afterwards if the aides were trained. There are programs around the country that do use aides more extensively, for instance PACE, which involves aides much more deeply in the care team than is typical. Mt. Sinai in New York City has a visiting doctors program that treats aides as a part of the care team. In nursing homes, there’s the Green House model which makes better use of aides, and there are other demographically similar occupations such as medical assistants, and in some settings they are part of care teams. So there are scattered examples but there are not large scale demonstration programs, which is a reflection of the kind of attitudes Robyn was talking about. LeadingAge: Speaking of the Green House model, which many of our members have adopted: I noticed a mention in your book that the universal workers in that model do a lot more than what you'd call a typical CNA job, but the wages really aren’t higher. Paul Osterman: Even if everything that the book lays out came to pass, if aides were given a broader scope of practice or the training enabling them to do that, or if work were shifted to them, it doesn’t follow as simple mechanical logic that the aides will benefit from this increased productivity. You still have to worry that the insurance companies or other payers will say thank you very much, and keep the money. So how can you make sure the aides do get more money? Traditionally, that’s the role of unions, and in some states, home health care aides are represented by unions, but it’s a limited number of states. Also, those unions are in some difficulty now because of a Supreme Court decision that’s made it harder for them to organize. There are some national advocacy groups, such as the Domestic Workers’ Alliance, which speak to this. But the other big thing is that there will be a shortage of these folks, and if you want to get more of them into the labor market you’ll have to raise their wages. Robyn Stone: It’s clear that there is a direct connection between inadequate Medicaid reimbursement and worker wages, and LeadingAge has made that case in its advocacy. There is also a need to advocate for new payment models to formally include aides in teams, and ensure that reimbursement is passed directly to these caregivers. LeadingAge: You write at length about obstacles to implementing your vision. These include funding, reimbursement, regulatory and political problems that our members are familiar with. But I’d like you to address one obstacle that you come back to often—the low regard that almost everyone has for direct care workers and the work that they do, and how that impedes progress. Paul Osterman: You have to acknowledge that this is a workforce that is overwhelmingly women, and disproportionately people of color and immigrants. Those last 2 vary, of course, in different parts of the country. Those are groups that in general have difficulty with some attitudes in the labor market. These workers have historically been seen as maids and treated as such. In fact, until very recently federal interpretation of the Fair Labor Standards Act literally treated them as babysitters! You just get a lot of comments, including contemptuous ones, such as one case when I asked about why [an aide] couldn’t put eye drops in someone’s eye, and someone said, “Well, what if they put in the cat’s eye drops by mistake?” And [sometimes] it’s just ignorance. I’ve interviewed quite a few senior federal and state policymakers who just don’t understand these aides and the system. Robyn Stone: Even from the provider perspective, some of our own providers do not recognize these folks as significant parts of the team, starting from calling them “their ladies” or “their girls,” to evidence through practice of not [making] them substantial parts of care teams, and not recognizing the input they can have in observation and relationship-building with residents or clients. Some of this is scope of practice but a lot of it is also just relegation of these folks to “low wage workers with relatively little skill” who are basically babysitting, even though our members should know better because they can see the level of complexity that these individuals are engaging with every day. I’d add one other thing that’s beyond the scope of Paul’s book, but that I believe strongly: Because of the predominance of the frontline workforce in our sector (60-70% of all hands-on care is performed by frontline aides), this drags down our entire sector. So if you look at parity of wages for all of our workforce, we’re all on a lower pay scale than peers in other part of the health sector. Not only does the need to address this affect the frontline workforce, but I believe from a sectoral approach it affects the entire set of professions. That is why from a LeadingAge perspective, we’re trying to address this not just from the front line but from a full sectoral approach that has the front line as a major part of that … the whole sector is undervalued. LeadingAge: You write about how the perspectives of disability advocates and senior-care providers differ, especially with respect to adding training requirements for direct-care workers. Can you describe the tension between those priorities, and do you have any ideas about how they might be reconciled? Paul Osterman: I am very sympathetic to both perspectives. Neither side is homogenous or monolithic. When you’re talking about attitudes of the disability community, you’re talking about a segment of it, not the whole community, but a vocal segment. They take the position that—and this is a group that is typically younger and cognitively, completely capable—that they should be responsible for hiring and supervising, and firing if needed, their own aides and not operating through agencies. It’s very reasonable and I’d want that for myself as well. But by the same token, as part of that and as part of an effort to avoid external control, in a number of states, and at the federal level, they have opposed requirements with respect to training standards, which undermines the much larger number of aides who work for agencies, and who in my argument should be trained more to be able to do more. The advocates for those aides have sometimes not been fully sensitive to the concerns of the disability community, so there hasn’t been as much dialogue as you’d want to see. There are some states where it’s been somewhat resolved. Washington, which is largely a “consumer-directed” state, nonetheless has training requirements for aides, but in other states, such as California or Massachusetts in the consumer-directed sector, it’s proven to be very difficult. We need to find a way to understand the concerns of the disability community but not damage the prospects of the much larger group of home care aides who do want to make a career and expand their scope of practice. Robyn Stone: I agree with Paul that we need to understand the concerns of the disability community but I also think we need to recognize the needs of the workers. I am concerned that advocating against formal training is a way of “dumbing down” the job, which impedes the movement to professionalize this workforce and ultimately raise compensation and career mobility. This is a delicate balance, and the dialogue needs to be transparent and evidence-based. LeadingAge: You try to make an optimistic case that despite the obstacles to be overcome, there are 4 factors—demographics, budget realities, managed care and unions—that might be able to move the needle. Which of those are most likely to have the greatest effect, in your opinion? Paul Osterman: The demographics and the finances. Power follows money and if it’s true, as I argue, that the system can save money by expanding the scope and training of these aides, then people who have that money should sit up and take notice. Secondly, there will just be a tremendous problem as the baby boomer generation ages and retires. People will want to stay home. It’s not just that there will be more boomers who need help, but also the nature of the demographic pyramid is that there are likely to be fewer unpaid family workers there to give help. Political pressure will rise to address this issue, so that’s where the greatest level of optimism lies. LeadingAge: A lot of LeadingAge members are expanding their HCBS footprints, so these days there are many that employ both CNAs and home care aides. What would you like to see from providers such as LeadingAge members? What could they do, and what can LeadingAge do, to make your vision come closer to reality? Paul Osterman: I think that agencies are trapped. They don’t control the reimbursement system, so even if an agency wanted to expand the scope and provide more training for aides, they’re faced with the law around scope of practice in many states, and they’re faced with limitations on reimbursement. So the case has to be made at the state level and in the Medicaid system. And it has to be made nationally. It was an invisible issue in the last presidential campaign, and has been invisible in the national discussion, so it needs to be raised up. LeadingAge is doing what it should be doing, by advocating along these lines, but you will need a powerful coalition to do this.